It’s a good primer into how Apple found success in retail after other computer companies had failed. If you’re an Apple fanatic, then most of the book will be warm comfortable ground that you’ve been through before. And if you aren’t the kind of person [or company] who obsessively benchmarks Brand Experiences, this is a great shortcut. But Apple isn’t the only experience there is. In many ways I find the Apple experience to be more about the sheer visual beauty of the stores, products and space. There’s less than meets the eye, in some sense. Try TD Bank to see just how much the actual experience overshadows the design. Start by walking your dog into the branch and see how you are treated. Now, go ahead to a nearby Citi location and try the same thing. One complaint I have about Apple and Apple Stores is the feeling of being in a walled-in garden. It is hermetic. There is a built-in subversion, a paradox at the heart of the Apple Store. Explicitly Apple is all about unleashing the creativity of people like you and me. Implicitly, encoded in the heart of Apple is a “look at me, admire me, love me” sensibility, an extreme narcissism. At it’s core Apple believes more in its own creativity than in yours or mine. Not all taglines are created equal. Some are great and some are lousy. Some do a whole lot of good and some just distract. I am proud that we created this tagline for Covenant House. The metaphor of an open door is a powerful one. But right now too many kids are having the doors of opportunity slammed closed in their faces. The unemployment rate for young adults — 16 to 24 — is higher than any period in the past 3 decades. For teenagers, it is hitting rates unheard of in a developed economy. Tax cuts won’t do much for a kid who can’t find a job and ends up living on the streets. Unemployment checks don’t go to a 19 year-old who never held a job. Covenant House is one organization that is out there, keeping their doors open for young adults who need it. You don’t have to love the tagline to click on it and contribute to Covenant House. You can do a whole lot of good simply by making a donation. Back in 2006 we created the new brand for the spin-off of Philips Semiconductors, a division of Philips Electronics. That is the genesis of NXP Semiconductors as an independent, privately held company. 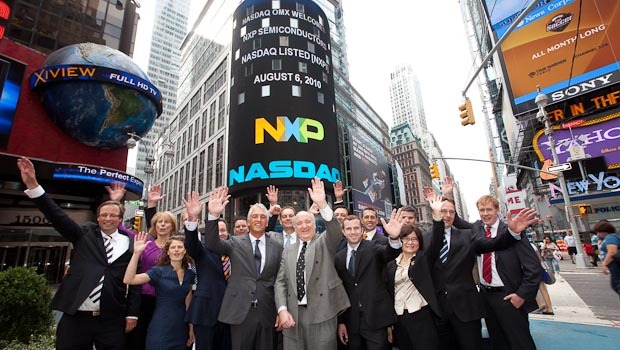 Today NXP began trading on the NASDAQ, the next page in the company’s on-going narrative. I was in Times Square but too late for the photo op. Therefore, much as I’d like to, I cannot take credit for this photo. Credit belongs solely to NASDAQ. 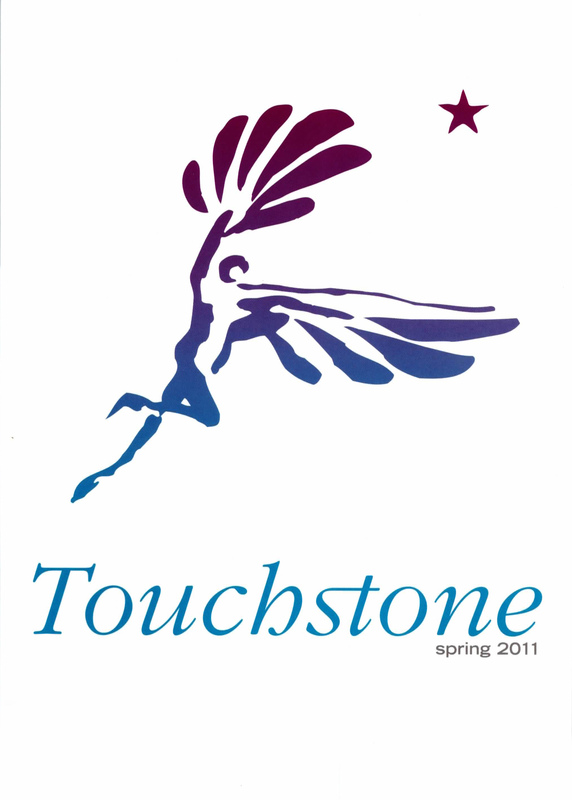 A new Touchstone, at a bookstore near you! I am very pleased, delighted and happy to share with you the new colophon we created for Touchstone books. But first, a little story about how we worked with the Publisher, Stacy Creamer and the Associate Publisher David Falk. 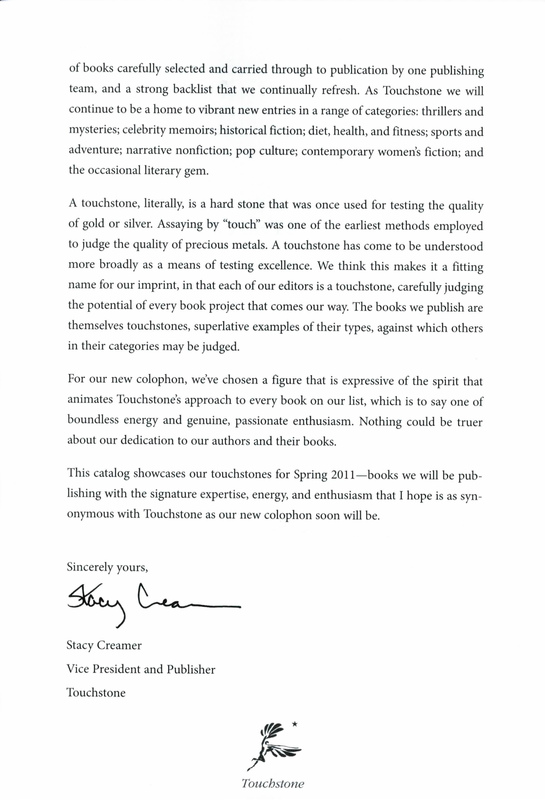 Touchstone Fireside Publishing is an imprint of Simon & Schuster. They publish people like Lance Armstrong, Rick Springfield, Black Eyed Peas’ Taboo and Philippa Gregory. They came to us with a question — how to better manage their imprint branding since “Touchstone Fireside” is rather a mouthful. 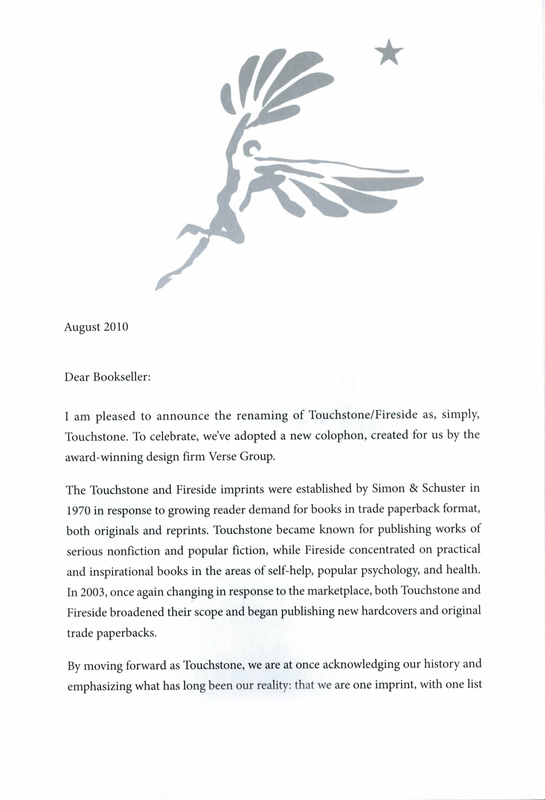 Both Touchstone and Fireside had been the trade paperback imprints of Simon & Schuster. One focused on fiction and the other was non-fiction. Eventually they expanded from paperbacks into hardcover — at the same time that other Simon & Schuster hardcover imprints were migrating into paperbacks. We explored the two metaphors — touchstones and firesides (along with the fireplace implement) — to see how they would fit with Stacy Creamer’s vision and the types of books they would be publishing in the future. A fireside is home, comfort, warmth, country-side, a bit of a sleepy afternoon curled up in a large chair with a book in your lap. Rather Jane Austen-ish. A touchstone is a benchmark of excellence by which all else is compared. It is a place you return to again and again to align yourself. It is rather like the north star, a way of finding what is true. Those are two very different metaphorical ways of viewing books and the act of reading. Stacy clearly saw the future of the imprint aligned with Touchstones of excellence rather than an afternoon nap in the living room before a crackling log. The final direction (under Michael Thibodeau’s direction, of course!) 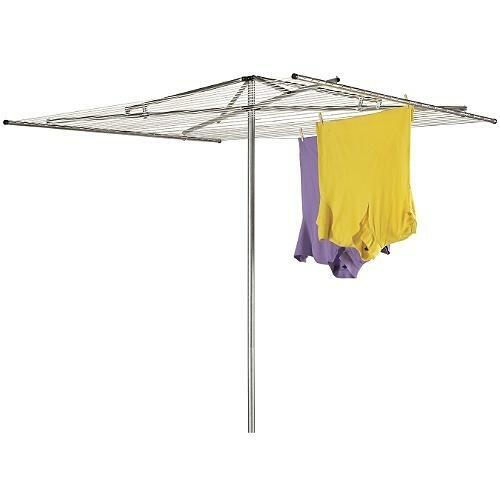 was the design you see at the top of this post. The speed, the sense of direction and purpose, the reaching for a star, the guiding star, the soaring all contribute to the metaphor of excellence, of the standard by which all will be met. So now you have the whole story! Is the success of BP’s “beyond petroleum” branding is now turning into a liability for the company? It certainly was a bold move when BP underwent their rebranding. Now, with the Gulf spill the most recent and most visible environmental problem for the company, the BP logo is beginning to look like a green target to some people. In fact, they are even inviting design professionals to re-design the BP logo. I’m not so sure that there is a brand moral here. The BP branding was brilliantly conceived, designed and executed. It is the reality of the world that is messy. Did the branding make BP a bigger target than they otherwise would be? I doubt it. Look at how the Valdez incident shaped Exxon’s image for more than a decade. The magnitude of the spill overwhelms all else, sweeping away all of the good work, goodwill and honest efforts at improvement. The wrong lesson would be to say that companies should not use their branding to help improve their reputation around environmental, sustainability and ecology issues. Over the next 12 months we’ll learn if the charges of “Greenwashing” will discourage other companies from moving ahead with their own efforts to improve their environmental standing. In wanting the brand to bring more benefits in the future, consumers will accept some degree of “brilliant failure” as a necessary by-product of the brand’s search for progress. Remember, Apple had the Newton, the Lisa and Macintosh TV, but Apple’s inventiveness constantly supplies the evolutionary learning for the company’s new products, including today’s Nano video and iPhone. All too often we benchmark the brilliant successes of others and ignore their “brilliant failures” along the way. We smooth out the bumps in history, erasing the part that either luck or failure play. We look at happy accidents as if they were by deliberate design. We can learn far more by studying both the success and the failures of others. In fact there is an entire organization dedicated to learning from the failures of others and applying those lessons. (I image that their annual meetings can be pretty depressing…) It is the Association for the Study of Failure. Apple tried and failed and tried and failed and tried again and finally achieved redemption. If not redemption, then at least a lot of market success! When we are benchmarking, we need to be careful. Are we building a machine based on hindsight? Are we being bold in our vision or following the path of another? We cannot benchmark our way to the future. I never thought that I’d ever have the opportunity to quote Beckett in a branding discussion! Brand Avoidance – or – stop that brand! Brand avoidance, motivations for anti-consumption, organizational disassociation, and freedom of anti-choice! No, today is not opposite day. Although I have to admit to a through-the-looking-glass-darkly sensation as I began to read about brand avoidance and anti-choice. There is a small body of research that looks almost exclusively at the dark underside of branding — brands that people go out of their way to actively avoid. Usually we think of a brand as an attention magnet. Strong brands have a strong attraction. Weak brands have little or no attraction. This looks at the other side of the magnet where the brand pushes people away, it repels them. Professor Michael Lee has been one of the academics in this area. 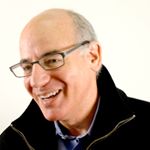 He has been creating a framework for categorizing and understanding the types and mindsets of brand avoidance. He separates them into 3 categories based on the primary cause for avoiding a brand: bad experience, identity avoidance and moral avoidance. Identity avoidance: Going out of your way to avoid consuming a brand because it is disturbing to your self-image — symbolic incongruity (I love that phrase!). The, “I would be caught dead in that” mentality is how I like to think of it. Moral avoidance: A conscious choice to avoid a brand because of its actions or behavior. Not shopping at Wal-Mart because they lock-in workers overnight or don’t offer health insurance to most employees. The concept of anti-choice is antithetical to how we typically think about marketing. No doubt there are some clever companies out there exploiting this mindset. I can see the marketing campaign now: It’s the anti-choice of a new generation! What really jumped out at me was the recognition that people can and do change their minds, and behaviors. They can look at a brand in a new way, their relationship with the brand can – and does – change over time. This is particularly important to brands that are second or third tier brands and trying to break into the top rank of brands. LG and Lenovo are two that come to mind immediately. In the paper by Professors Lee, Motion and Conroy, one paragraph in particular jumped out at me. While meant to propose a strategy for countering brand avoidance, it immediately struck a chord of recognition. 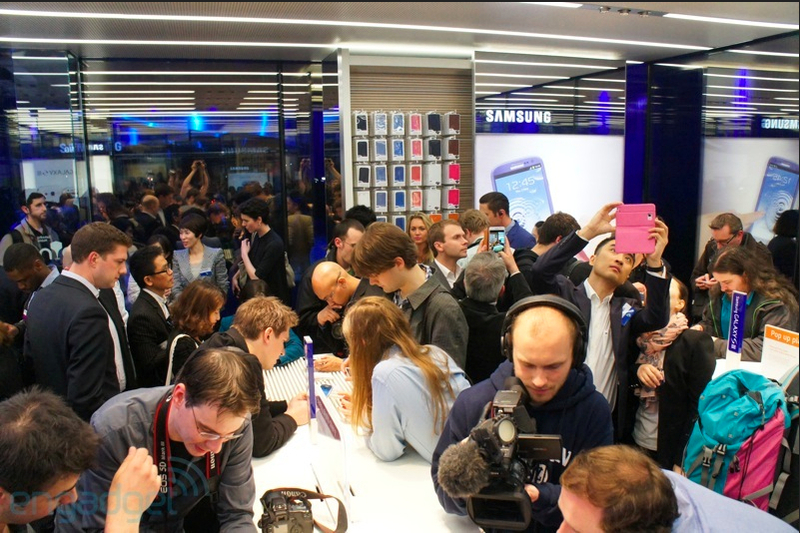 In fact, it was very similar to the bold strategy taken by Samsung starting in the mid-1990s to elevate the brand image and reputation. That is indeed a drastic strategy. And very, very powerful. 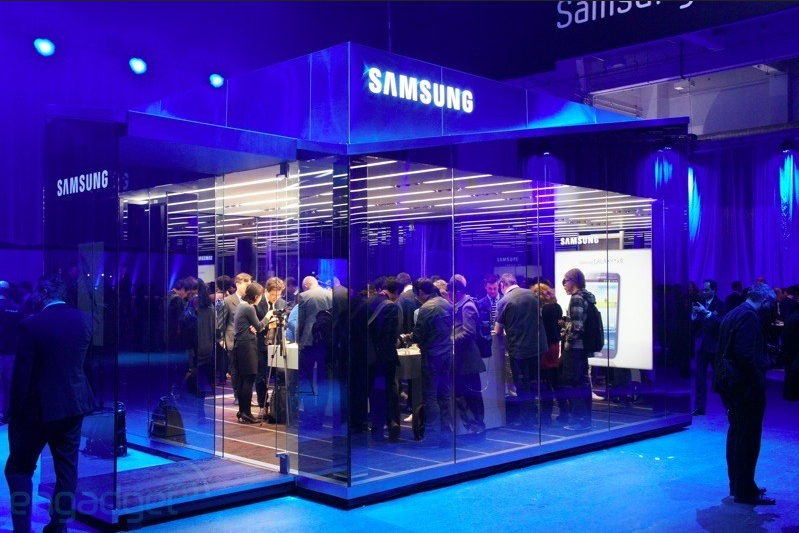 At Samsung the initiative came from the Chairman himself. His call to action was, “Change everything except your spouse and children.” They changed product quality, product design, marketing strategies, pricing strategies, distribution strategies…as well as the brand strategy. And Samsung had the courage and patience to stay on the same course for a number of years instead of changing strategies every 12 or 18 months. Here is a link to one of the recently published articles by Professors Lee, Motion and Conroy and on research into BrandAvoidance. Caution: this is wonkish.